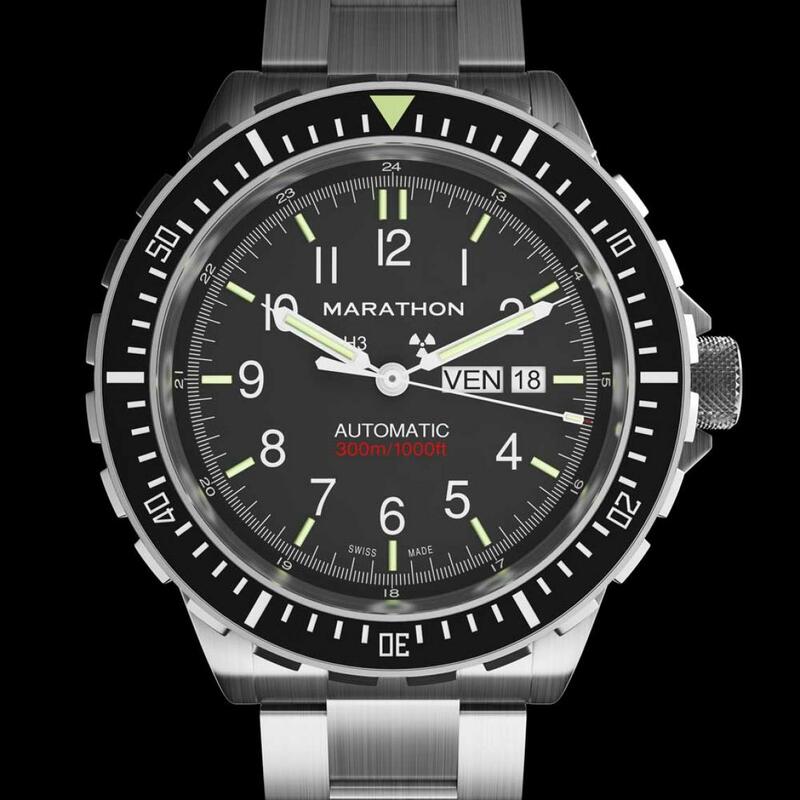 The Marathon Bilingual Jumbo Day and Date (JDD) features an automatic, self-winding, 26 jewel movement and hands equipped with 16 luminescent tritium gas tubes, a crescent shaped sapphire crystal and screw-down crown. 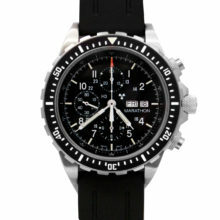 Whether it’s day or night, this extra large divewatch provides clear visibility with its large dial and numbers. 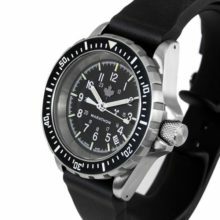 The Jumbo Day and Date includes easy-set bilingual day and date display (French / English) and is water resistant to 300m/1000ft. 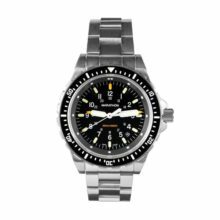 Designed for use by Search and Rescue (SAR) divers, the Large Bilingual Diver’s Automatic is a watch built to withstand the most extreme of conditions. 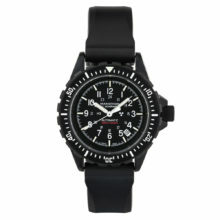 The ultimate large size current dive watch! 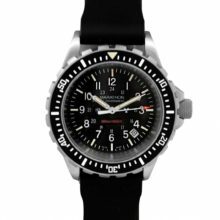 The Marathon JDD Military Dive Watch is a bilingual extra large dive watch with a day/date function in both English and French. 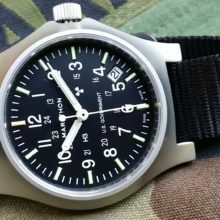 JDD stands for Jumbo Day/Date. 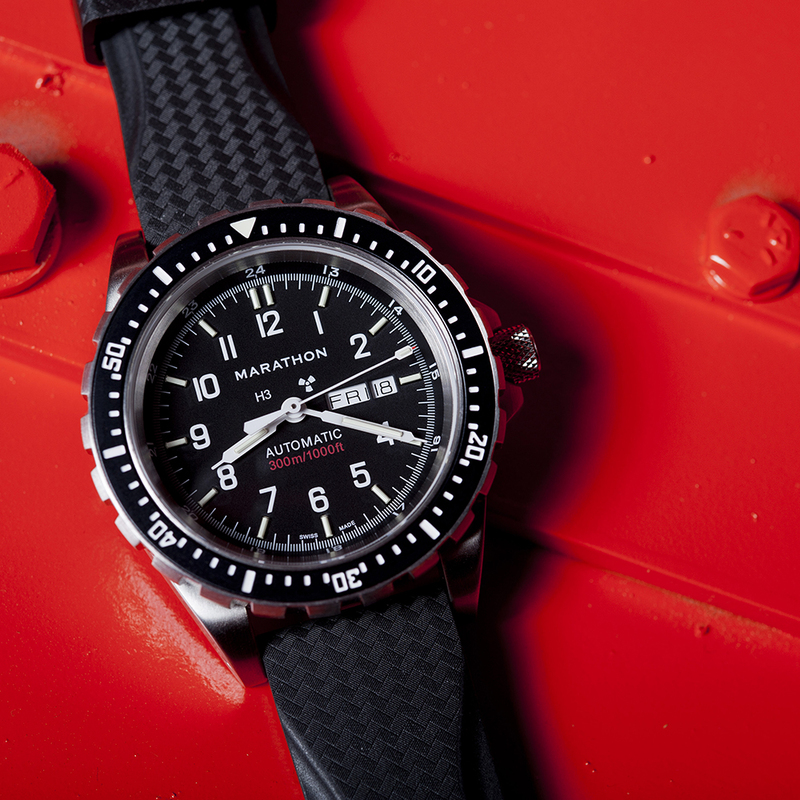 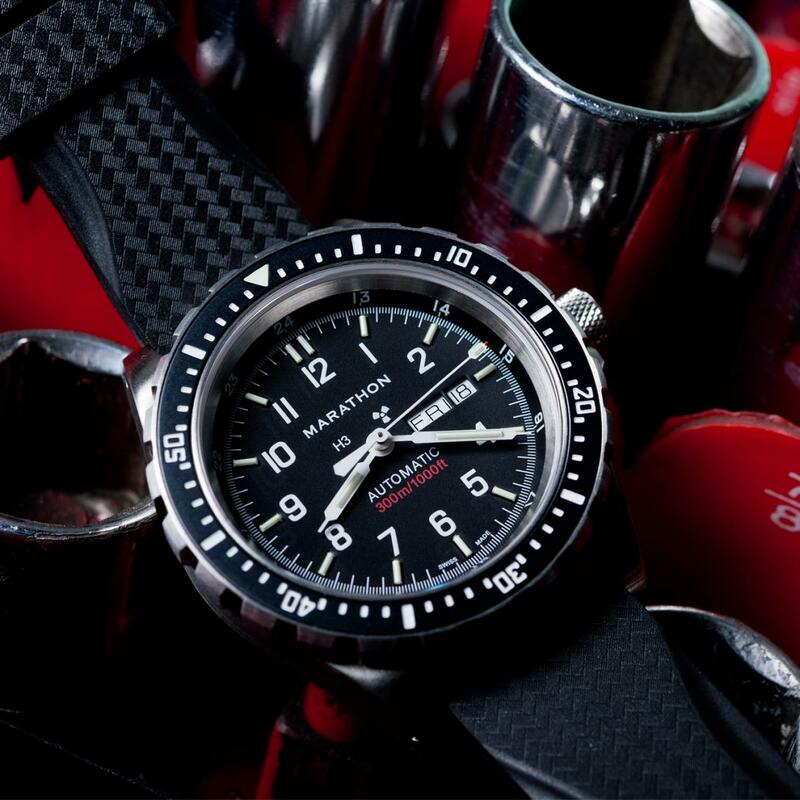 The Marathon JDD is designed for use by Search and Rescue (SAR) divers, the Large Bilingual Diver’s Automatic is a watch built to withstand the most extreme of conditions. The Marathon JDD Military Dive Watch is certified for water resistance down to 30 ATM – 300 meters (1000 feet) underwater and meets ISO 6425 standards. 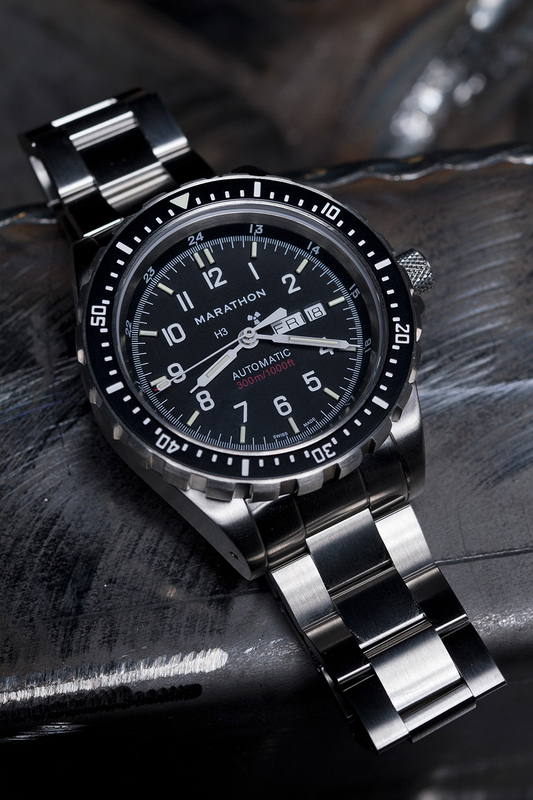 Made from 316L surgical grade stainless steel, the JDD is a hefty, purpose-built watch that will not let you down on any adventure you may take. 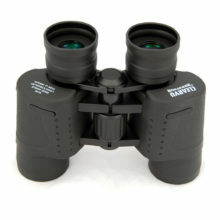 A Canadian NSN is laser engraved on the back. 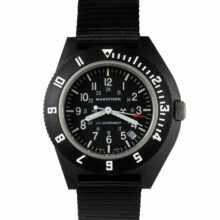 This is the first Jumbo Automatic that Marathon has manufactured. 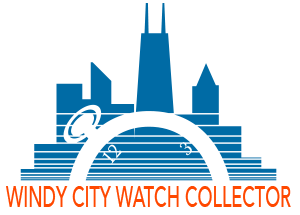 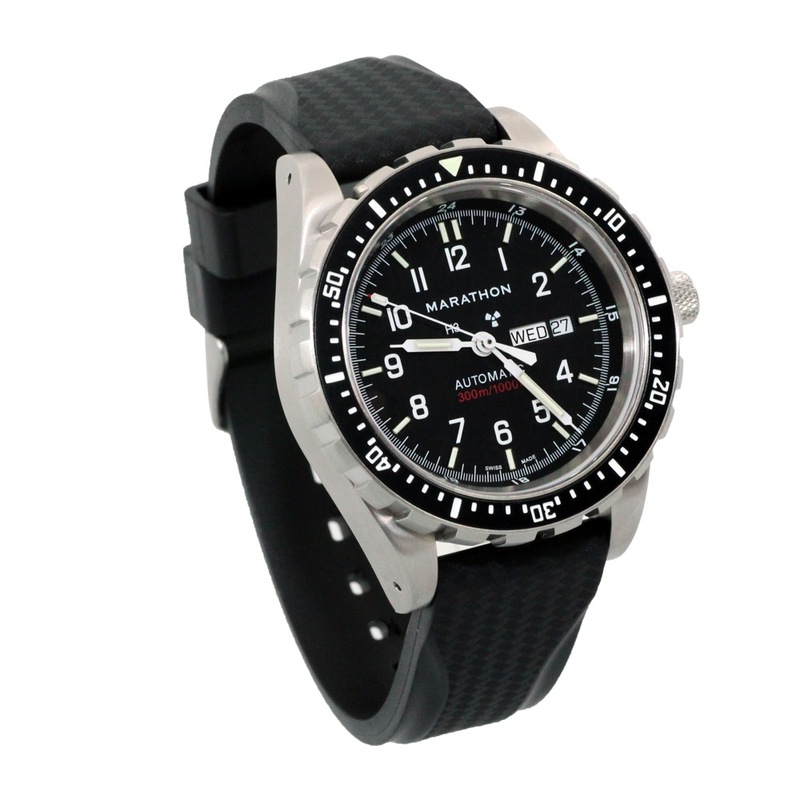 The JDD is the same size as Marathon’s popular JSAR watch. 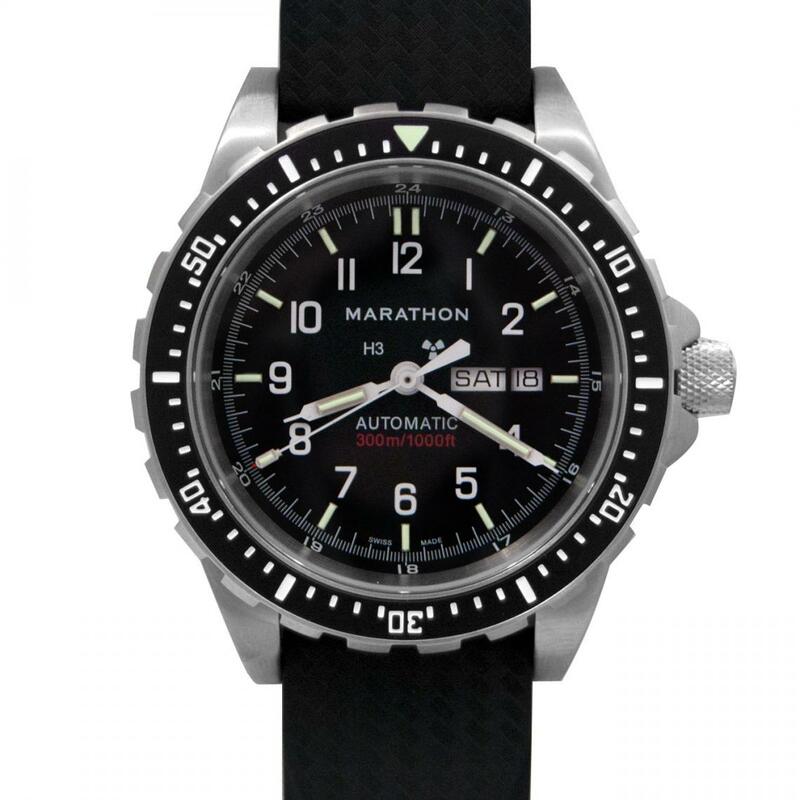 Due to the expansive dial space, Marathon designed the numbers to be very large to increase the already great visibility and they put the supplemental (military) numbers 13-24 on the inside bezel ring. 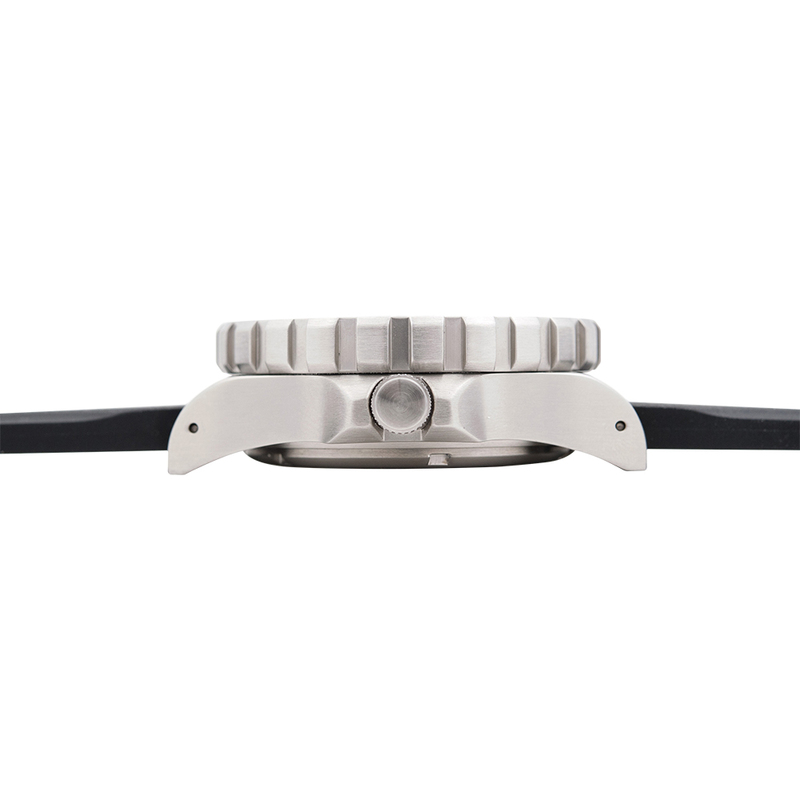 The sapphire crystal of the JDD will resist scratches, and is coated with an anti-reflective coating to ensure maximum dial legibility — and it is domed shaped to improve legibility even further. 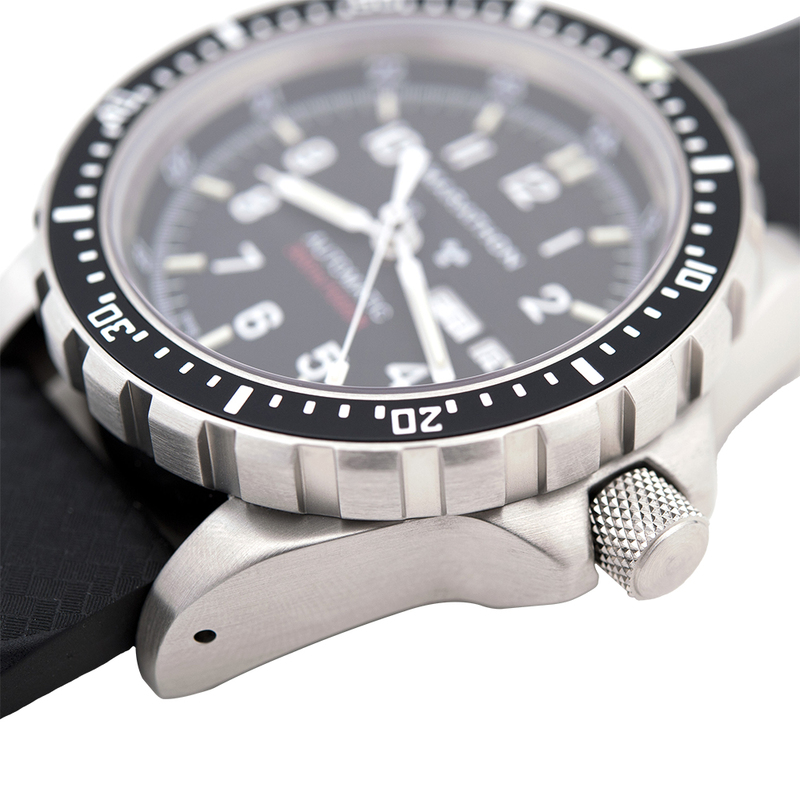 The JDD is made in La Chaux de Fonds Switzerland to guarantee the highest level of quality and accuracy in manufacturing. 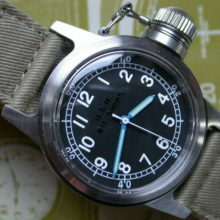 Inside the JDD is a Swiss made, 26 jewel Sellita SW-220 automatic movement. 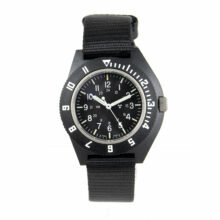 The JDD guarantees you a reliable and accurate timekeeping experience. 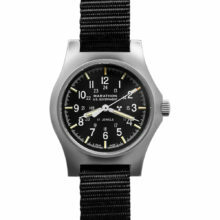 The JDD uses self-contained Tritium gas tubes to ensure constant visibility in low light situations; a gas tube is placed on each hour marker as well as the hour and minute hands. 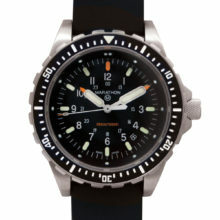 MaraGlo paint is used for the 12-hour bezel marker. 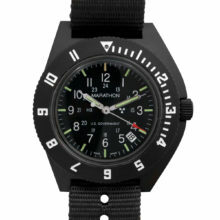 Tritium tubes are self-illuminating gas tubes which contain an isotope of hydrogen which does not require an external light source in order to glow, unlike normal photo-luminescent paint which does require a light source. 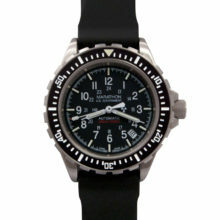 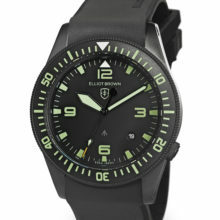 The ultimate large size current special purpose dive watch!